Four of composer and Atlanta Symphony Orchestra Double-Bassist Michael Kurth's original works make up ASO Media's newest release. 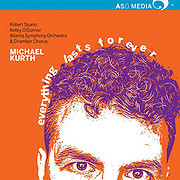 The album features four works premiered by the Atlanta Symphony Orchestra between 2010 and 2018, including Everything Lasts Forever, a phrase Kurth saw on a faded and peeling sign above Atlanta's Krog Street Tunnel. The irony and truth of this statement spoke to Kurth as both a composer and performer. A Thousand Words transports the listener to meaningful destinations on some of Kurth's many adventures. From a sunrise on Tybee Island to the basalt cliffs in Reynisfjara, Iceland, the music conveys the moment in the absence of images or words. 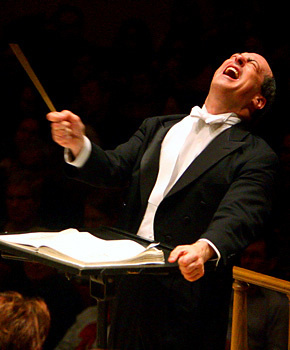 May Cause Dizziness marked Kurth's first composition for large orchestra, and was commissioned in celebration of Maestro Spano's 10th season as Music Director. The incomparable mezzo-soprano Kelley O'Connor joins the Atlanta Symphony Orchestra and Chamber Chorus for Misere, a story of betrayal that is written in a style that Kurth describes as "modern-primitive-sacred-spooky". Kurth, a member of the ASO for nearly 25 years, was named Best New Composer in 2017 by Atlanta Magazine.